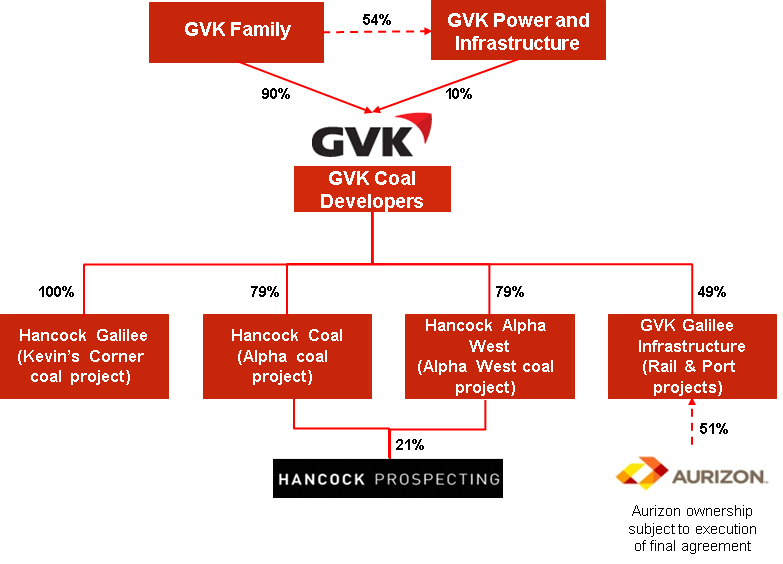 GVK Hancock is a joint venture combining the strong energy and infrastructure portfolio of one of India’s leading business groups in GVK, with one of Australia’s leading resource companies Hancock Prospecting, which has a proud history of resource and economic development in regional Australia. The combined pioneering spirit of this joint venture is developing the vast potential of the Galilee Basin in Central Queensland that will deliver one of the most significant pieces of regional and economic development the State of Queensland has seen for decades, providing over 20,000 direct and indirect jobs. These developments will also bring online a new world class high quality, low ash, low sulphur, low gas thermal coal deposit, offering the ability to lower global emissions from coal fire power generation.